My son saw this on television and wanted to make one. I am not sure what show it was so I can’t give full credit here but if anyone knows please feel free to let us know! I’m also not sure why it’s called a ‘Fairy Garden’ Mask but that’s what he called it so I went with it. We don’t really get into those gender specific roles in our house. My son loves pink and glitter and lots of things ‘girly’. We know it’s part of him exploring his world around him and we are ok with that. The weather in Sydney is starting to get a bit warmer so it’s been lovely to spend a bit of time out in the Winter sun. This is the perfect activity to do whilst enjoying the great outdoors and can lead to a fun ‘hide and seek’ game at the end :-). 1. (Adult) Cut holes for eyes and nose in the paper plate and attach elastic to the mask. 2. 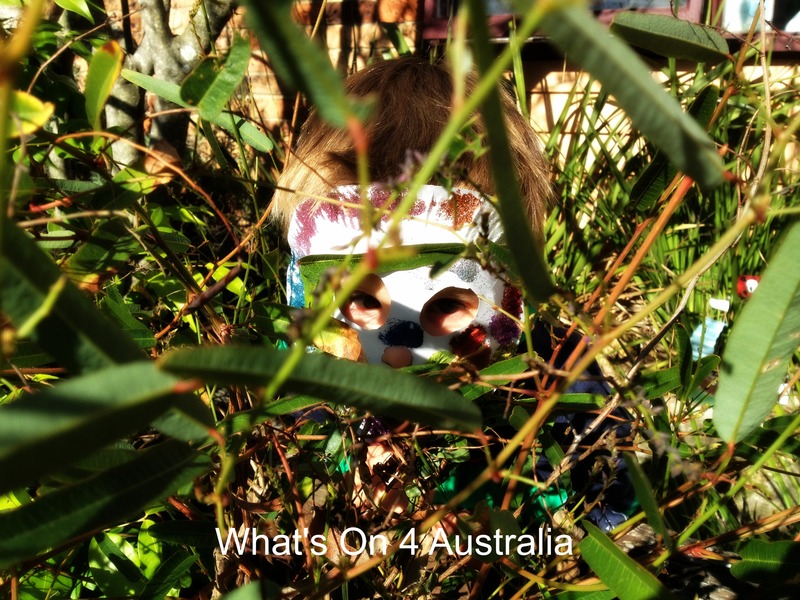 Take your child on a walk around the garden and collect leaves and flowers for the mask. This can be a lovely time to ‘smell the roses’, listen to the sounds in the environment and talk about what you see along the way :-). 3. 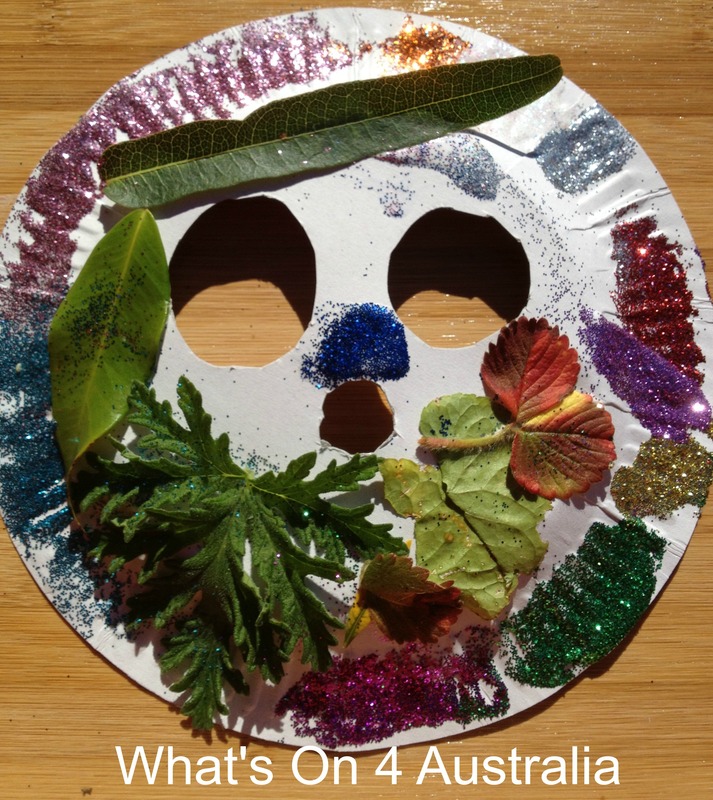 Let your child create their fairy garden mask using the leaves, flowers and glitter. Do you see a ‘fairy’ in my garden??? 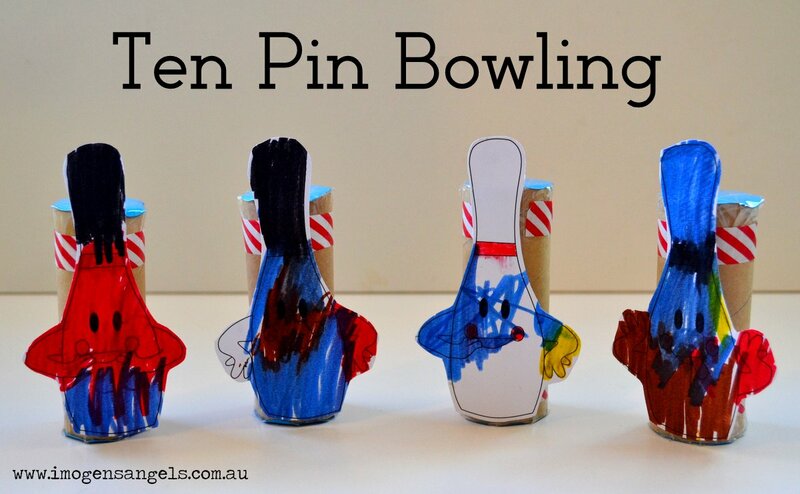 Do you love ten pin bowling or looking for an activity to do when the skies are grey? 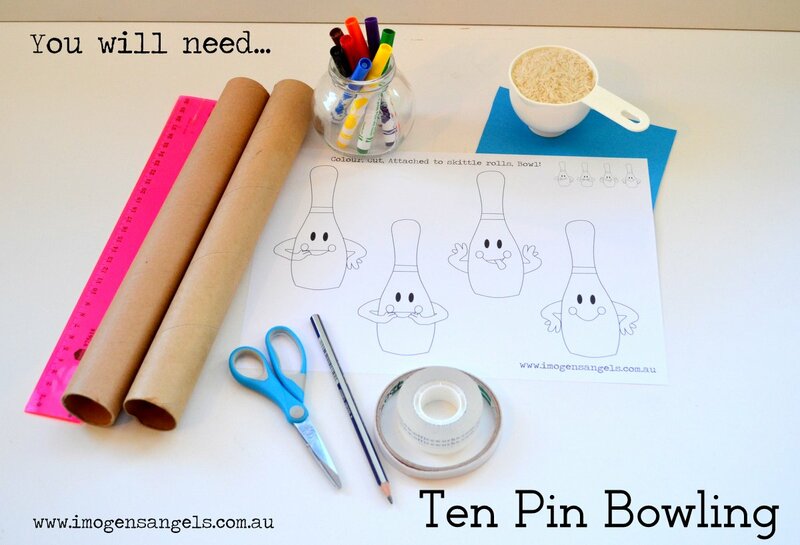 This simple craft activity needs only a few craft supplies and one super cute printable. 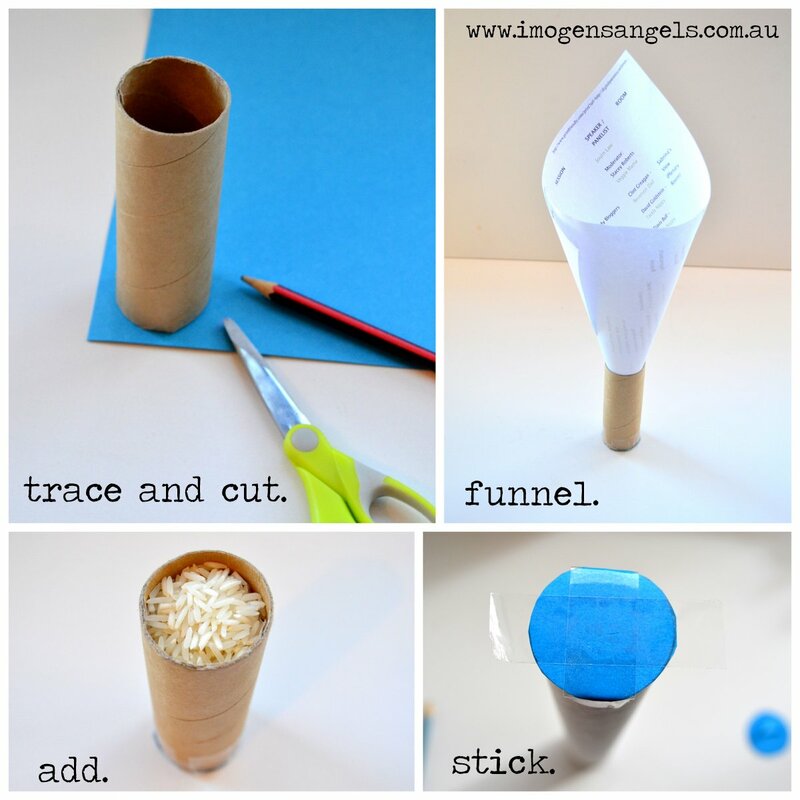 A funnel or a simple one made from a piece of paper and sticky tape. Step 1. Print the printable, gather the supplies. Cut the rolls to approx. 10 cms. (Tip. You can make cutting the roll easier by squashing them in half and then reforming them back into cylinders afterwards). Step 2. Colour, Colour, Colour. Step 3. Adult – Cut out. Step 5. Turnover and funnel the rice into the open end. Step 6. Repeat step 4 to the other end. Step 7. Apply double sided tape or glue to the side of the roll. Step 8. 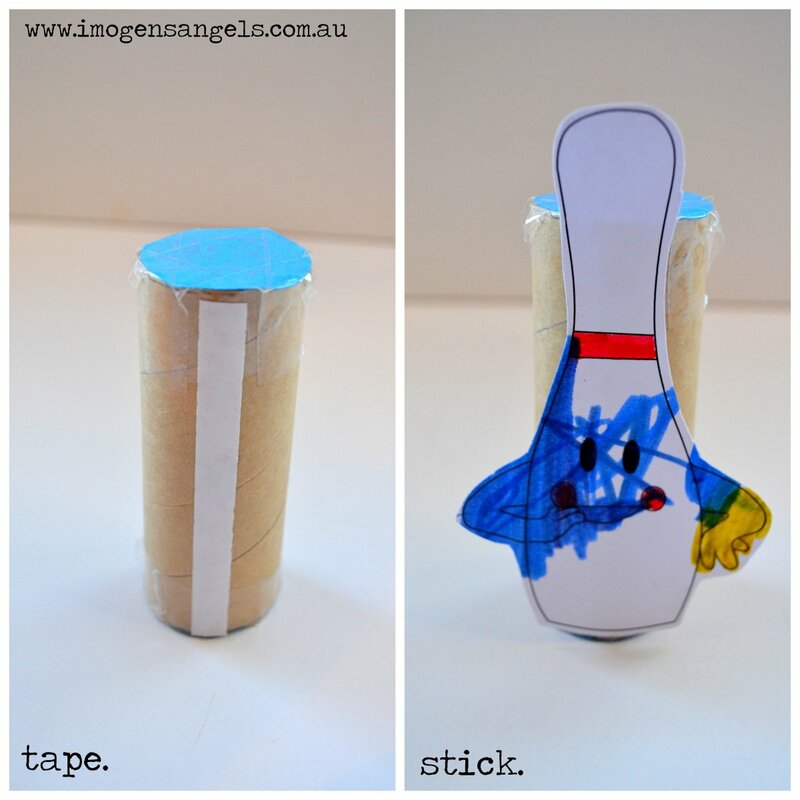 Firmly press the cut out ten pins onto the tape or glue. Step 9. Play! Find a safe ball for inside play and see who can bowl over the most pins. Tips. 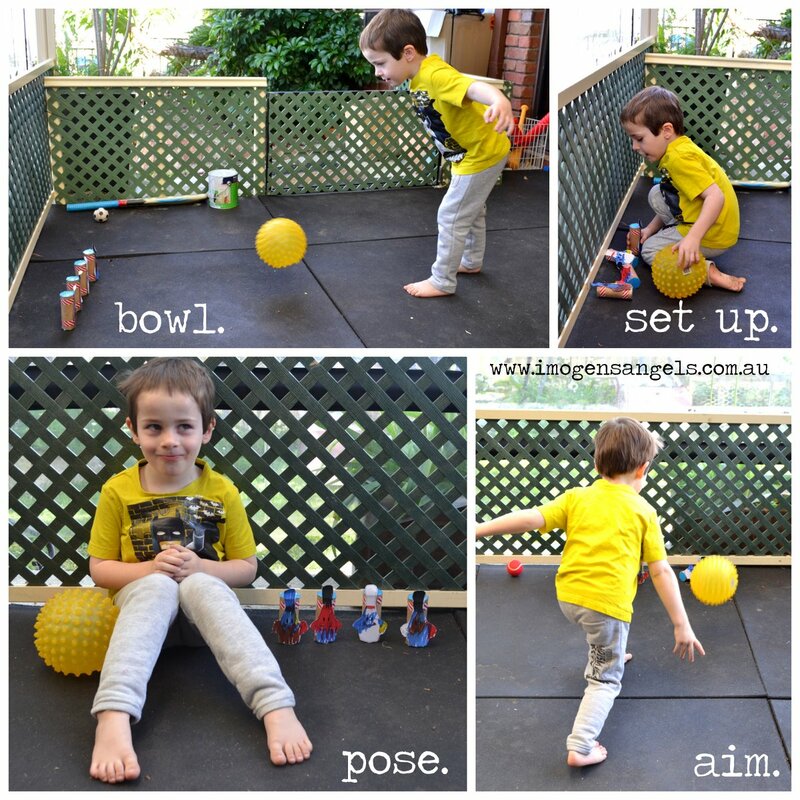 Colour each pin a different colour and get your little one to aim for a certain colour. Fun and learning colours! I added a little piece of washi tape around the end of each roll to secure the other tape from being taken off by my inquisitive 2 year old. Ever since I was small I have been surrounded by craft. My whole family has a creative flair, my grandma could whip up a baby’s first cardigan in one afternoon, my mum is a master at any craft or art activity and my dad enjoyed spending afternoons surrounded by wood chips creating creations on his wood lathe. My sister, brother and I, spent our childhoods immersed in craft and arts. We made cubbies from reams of fabric, wore clothes made by my mum, entered our creative craft in the local show and began our working career at our parent’s craft supply shop. 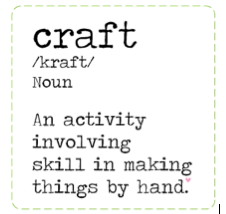 To us crafting and art was never daunting, we were never afraid to try our hand at any craft that was offered. 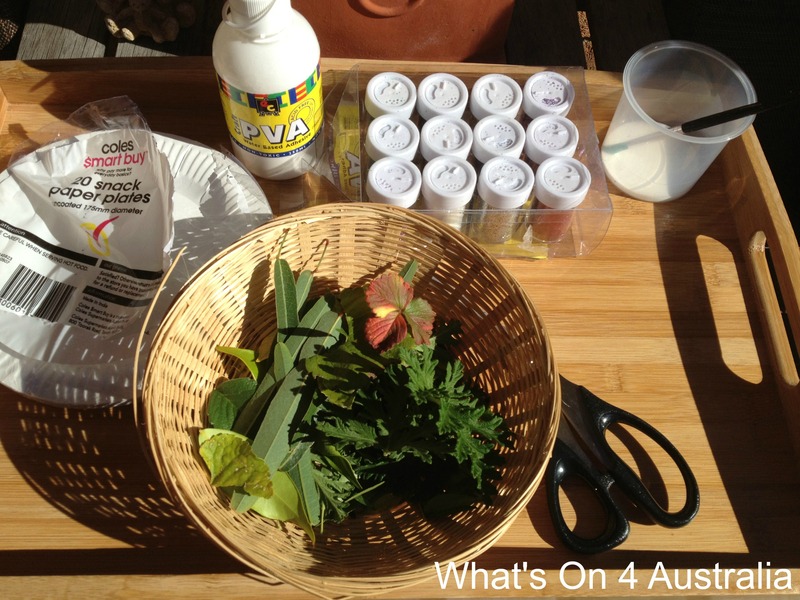 Our mum’s positive encouragement helped us learn to love exploring our creative side. From this upbringing it’s no surprise that we have all selected careers or hobbies that involve our creative flair. When I became a mum at only 19, I made outfits for my first love, a little boy. It was great to be able to customise an outfit just for him. 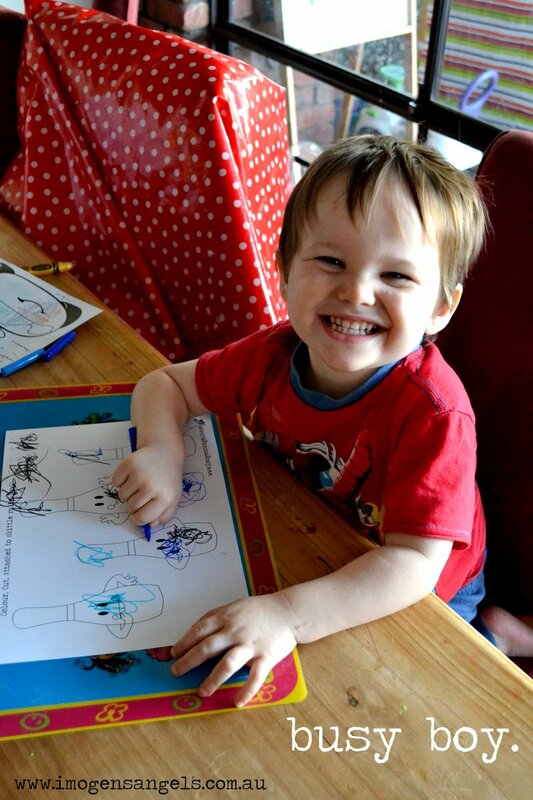 As the years past, work and being a mum absorbed my creative time. I then became a mum again to the most beautiful, happy girl, Imogen. By then my big boy was attending school. Imogen and I would spend our day’s finger painting, gluing and glittering. 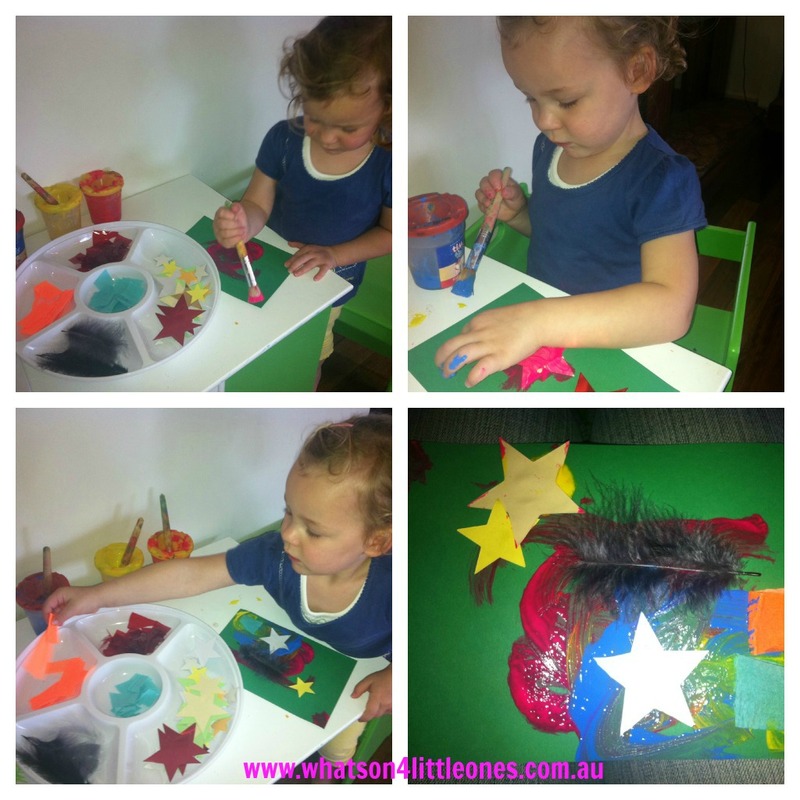 By age 2 Imogen had her own art desk in her room, filled with pens, textas, glitter and foam shapes. The other parents at playgroup thought I was crazy, but because Imogen had spent her life surrounded by craft she never created messy or wall murals from her art supplies. Then suddenly at the end of February 2007, our whirlwind of craft and love stopped still. 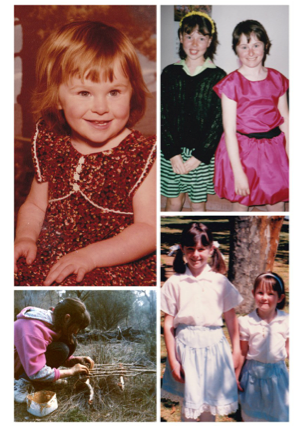 At age 2 Imogen was diagnosed with a childhood cancer. She began treatment immediately and developed a crafting fetish for hospital tape, which she would wrap over and over itself into sticky tape creatures. Imogen spent the next three years, honing her craft abilities from bags packed with craft supplies while attending hospital appointments and long isolated stays in. Crafting was her sanctuary away from the beast named cancer. Five days after her 6th birthday, she laid down her textas and took her last breathe wrapped in our arms. My first year of grief flew and then in my second year, I knew I wanted to create something to connect and remember my crafty girl. In 2011 Imogen’s Angels was born, it first began with personalised Christmas ornaments which then lead to the beginning of the blog. It was there I began to feel connected to my girl Imogen again. I now also had two extra crafting sidekicks, two little boys. 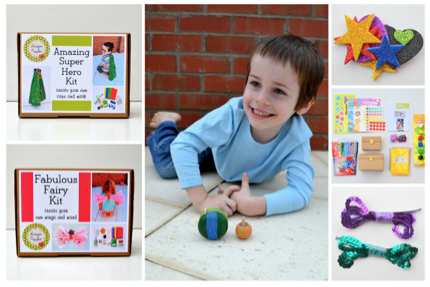 Now on the blog, the boys and I share our craft activities, including free printables, and sell via our online shop, original and fun kid’s craft kits. 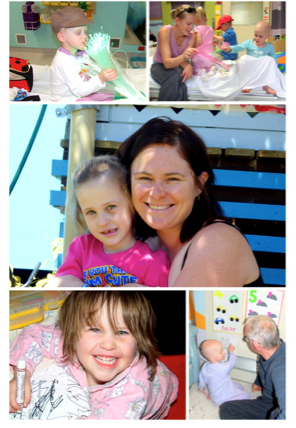 Recently I became connected with what’s on for little ones, through my annual ‘Princess Ladybird’ fundraiser which in memory of Imogen, aims to raise funds and awareness for Make-A-Wish Australia. 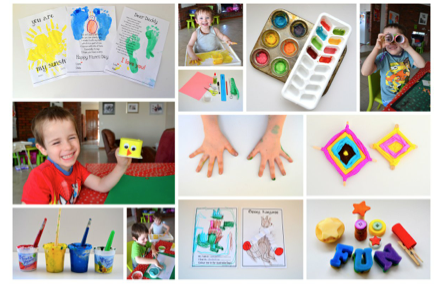 I am happy to share that I will now also be blogging even more craft activities and printables here on the What’s On 4 Little Ones page. I do hope you will join us and help connect your children with the joys that craft, can and will bring to you both! You can use anything for this, card, paper, boxes, toilet rolls, tissue paper, feathers, bottle tops, ribbons, buttons, straws, icecream sticks – the list is endless.